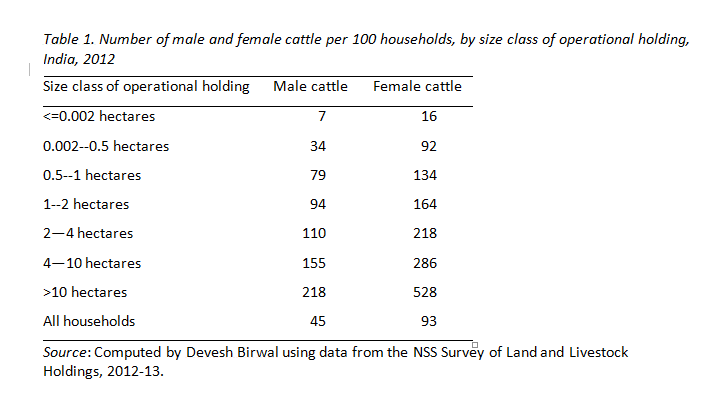 Feb 01 India’s livestock economy is among the biggest in the world. A ban on cow slaughter would either result in more and more unproductive animals being killed in most unscientific and cruel ways or would entail such a high cost for maintaining unproductive animals that cattle rearing would cease to be a profitable enterprise for farm households. Restrictions being imposed on cow slaughter and the actions of the cow vigilantes would deal a serious blow to the agrarian economy and in particular to the livelihoods of the poor and middle peasants in rural India.